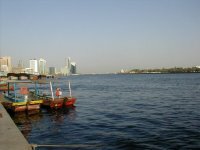 Jebel Ali is part of the city of Dubai in the United Arab Emirates. 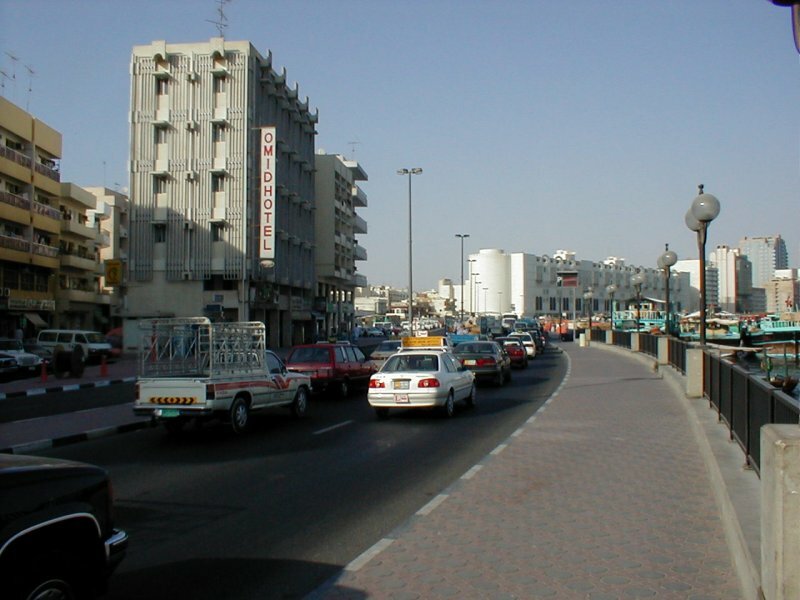 The United Arab Emirates is a federation of seven emirates or states. 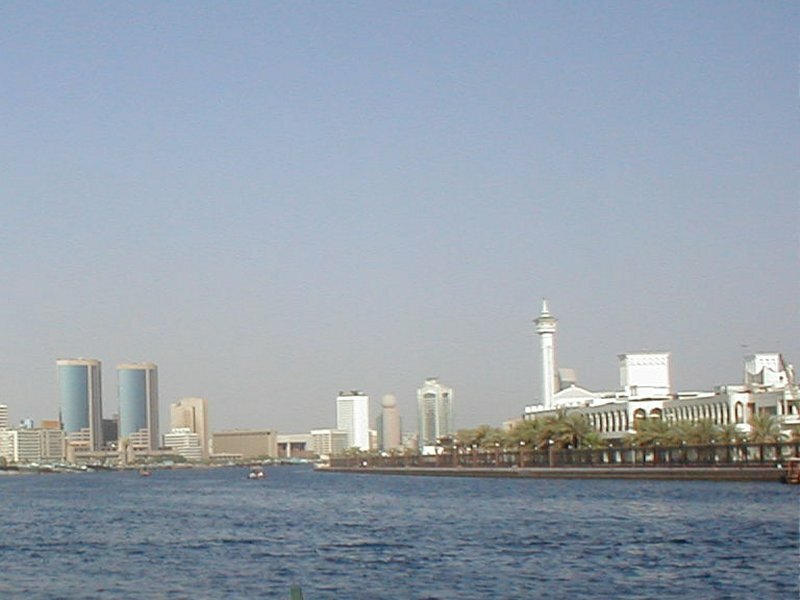 Dubai [Dubayy] is the main commercial center of the Persian Gulf. 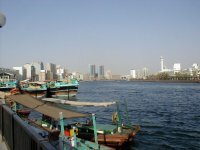 Its' port of Mina Jebel Ali has the largest man-made harbor in the world with 67 berths and extensive dry-dock capability. 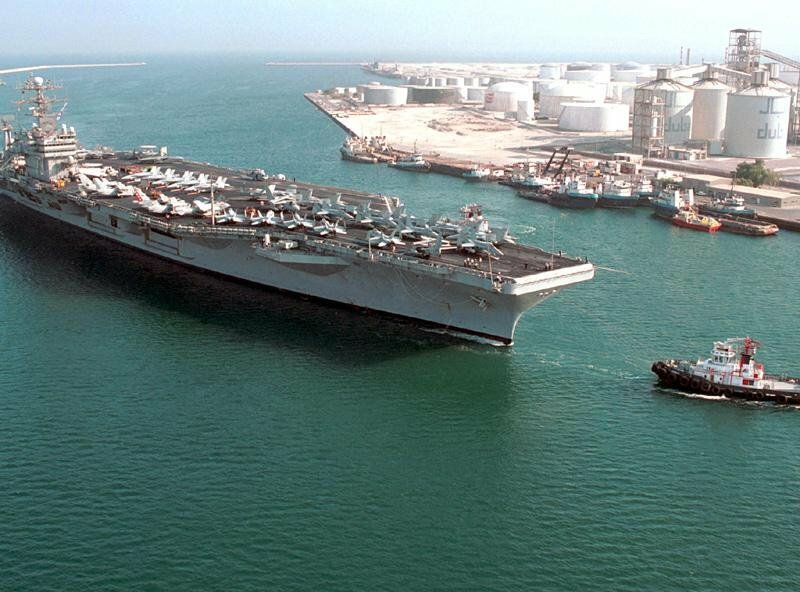 Jebel Ali has become a favorite port of Navy ships in the Gulf, and is the most frequented port outside of the United States. This port has become a familiar stop for carrier battle groups while deployed to the Arabian Gulf. Jebel Ali, located near Dubai, is the UAE surface hub logistics site in the NAVCENT AOR. It is served by container ships from Guam and other Pacific ports. Jebel Ali is connected to Fujairah by road and much air cargo is delivered by truck to ships inport at Jebel Ali. CLF ships often accept the cargo for ships that are underway FFT at sea. The Fujairah to Jebel Ali land link is the Navy's logistics pipeline to the Gulf should the Strait of Hormuz be closed. Jebel Ali is manned by a PO1 who reports to the OIC in Fujairah. He operates a transhipment point and temp-storage warehouse with a Ready Service Store (RSS) at Jebel Ali with assistance from the on-station AFS and personnel from the CV (when in theater). The Kasbah Liberty Center, swimming pools, and laundry located at the port of Jebel Ali are the primary elements of the Jebel Ali Recreation Center and are operated under the management of the United Services Organization (USO) and oversight of the Navy Personnel Command Morale, Welfare, and Recreation Division (PERS-65). By mutual agreement PERS-65 has purchased or authorized payment for specific goods and services for the use of Armed Forces personnel assigned or deployed to the Persian Gulf. The USO Director is the designated agent who manages those US Navy resources located at the port of Jebel Ali. 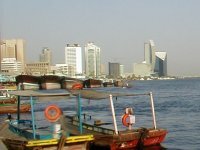 For many Sailors, the chance to pick up bargains on gold jewelry, electronics and computer hardware drove them into Dubai, known in tourism circles as the "City of Gold" for it's hundreds of elaborate gold shops and some of the best jewelry prices in the world. 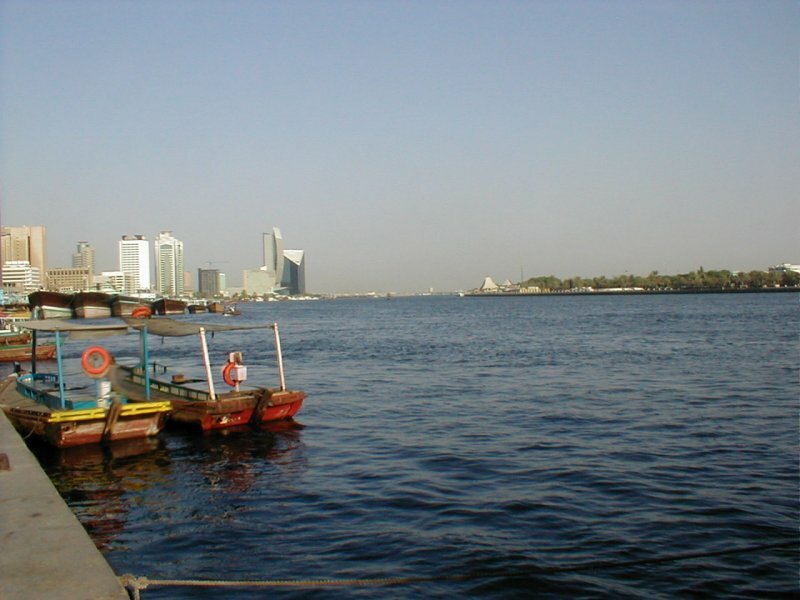 The port of Jebel Ali is situated 35km SW of the city of Dubai. The position of the Port Control Tower is 24°59'04"N and 55°02'09"E. Pilotage is compulsory and pilots are available 24 hours a day. The outer basin is 2.3km long and 600m wide with a depth of 14m. The inner basin is 3.7km long and 425m wide with a depth of 11.5m. The main axis of both basins is 047°-227°. All channel, basin and dock bottoms are sandstone. 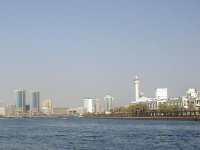 In 1976 Sheikh Rashid gave instructions for an ambitious project, the construction of the world's largest man-made harbor at Jebel Ali. 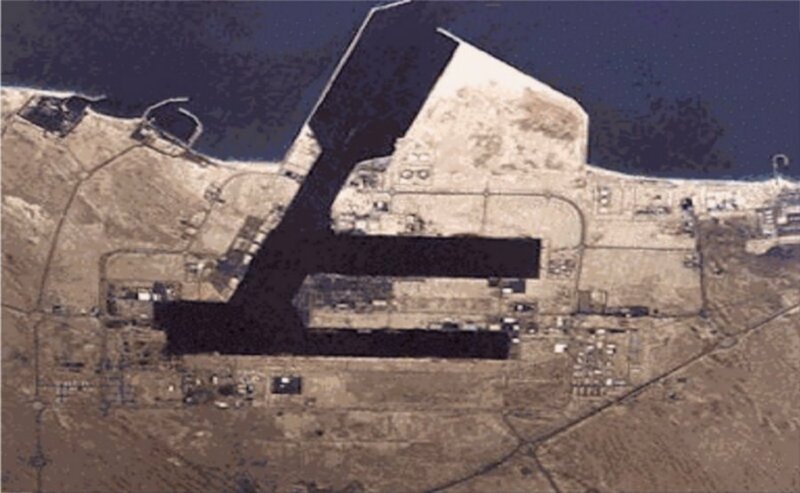 When completed in 1979, Jebel Ali Port ranked alongside the Great Wall of China and the Hoover Dam as the only three man-made objects that can be seen from space. Although complementing Port Rashid in terms of trade and transshipments, the concept of Jebel Ali was geared more towards industrial development and soon attracted major aluminum, gas and cement projects. Establishing the surrounding Jebel Ali Free Zone made the location a magnet for international businesses looking for the best facilities, cheaper overheads and the freedom to operate with an offshore status. Dual-purpose berths for LPG and other tankers berth 1,5,7 are situated in the outer basin and at Berth 2 in the 14m basin. Ships using these berths, for which a booking system operates, will generally be berthed starboard side to. Star Energy Oil Terminal is situated on Quay 3 with Berths 8 and 9 for tankers (max draft, 13.25m) importing/exporting petroleum products. A chemical tanker berth is located on Quay 7, Berth 51, with water depth being 11.5m. Vessels (max draft, 10.75m) may berth port or starboard side to. No ballast reception facilities are provided at these berths. In all other berths, ships can secure port or starboard to. 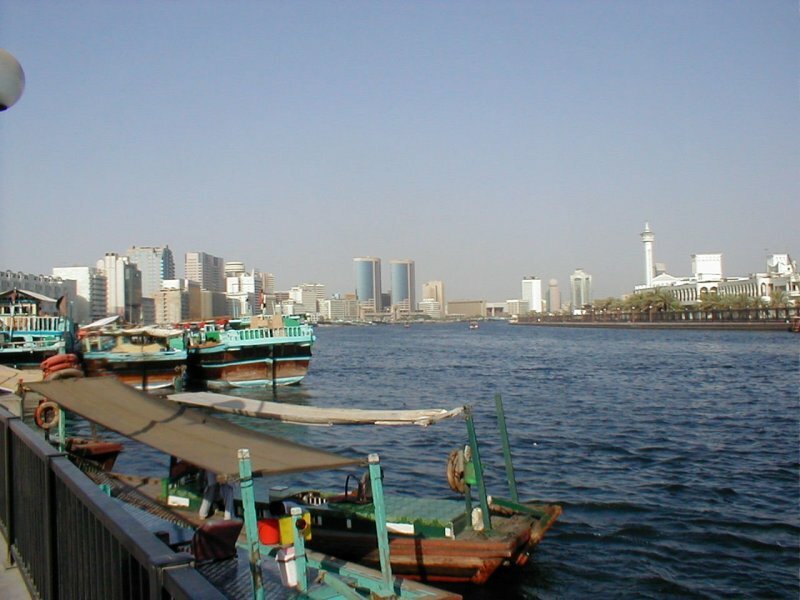 Relative density of water in the port is 1.032; water temperatures reach 36°C in summer.